Lizzy Valentine of Greeneview competes in the vault at Centerville, Saturday, Jan. 26, 2019. Sydney Shadburn of Washington on balance beam Saturday, Jan. 26, 2019 at Centerville. Alexis Gardner of Miami Trace performs on the balance beam at Centerville Saturday, Jan. 26, 2019. 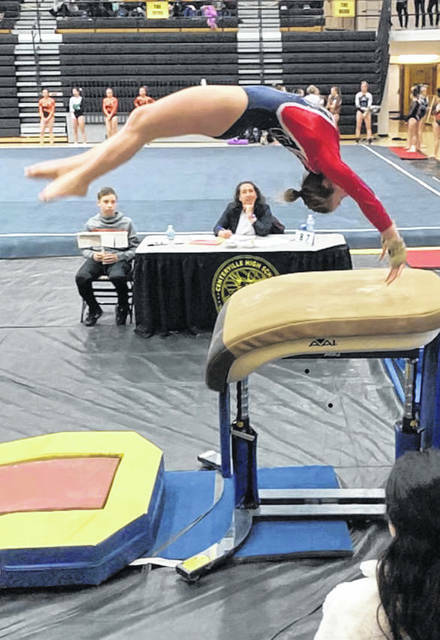 The Miami Trace High School and Washington High School gymnasts participated in a 14-school invitational Saturday, Jan. 26 at Centerville. With a 116.25 team score, Miami Trace placed 10th in the meet. Miamisburg took the title with a score of 138.8. Versailles earned second place honors with 133 points. While Troy took home the third place trophy with a 132.8 final result. Miami Trace raised their vault score to a 32.15. Freshman Kandice Mathews earned a new personal high mark of 8.2 on the event placing 13th out of 80 gymnasts on the event. 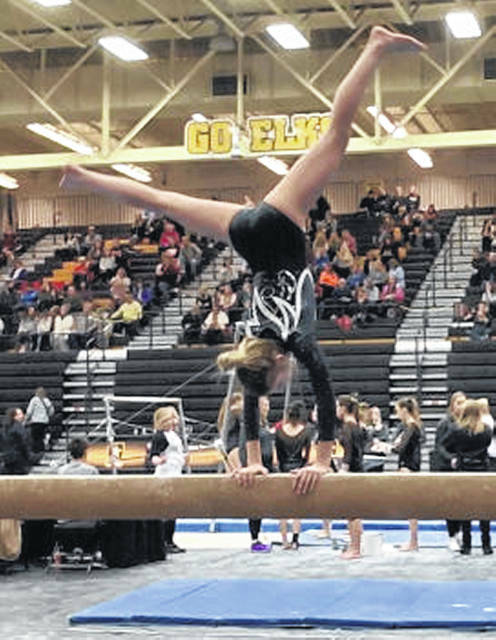 Washington junior McKenna Garren achieved her own new high of 7.3 on vault. 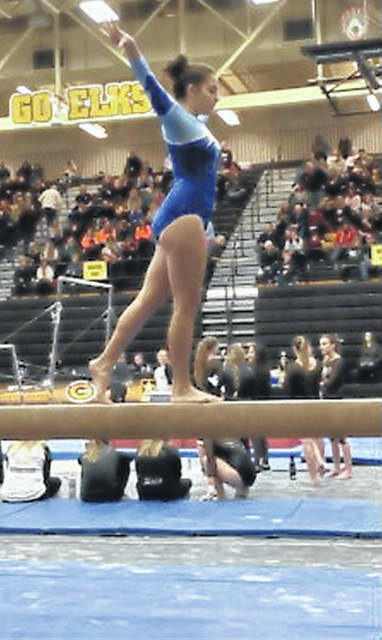 Greeneview gymnast Lizzy Valentine performed a Yurchenko entry vault with a one-half twist round-off back handspring up and over on top of the vault table for the first time in competition. Valentine was awarded a 7.95 score for her skill. The team is off from competition this week. The next meet is scheduled for Tuesday, Feb. 5 at Upper Arlington High School.